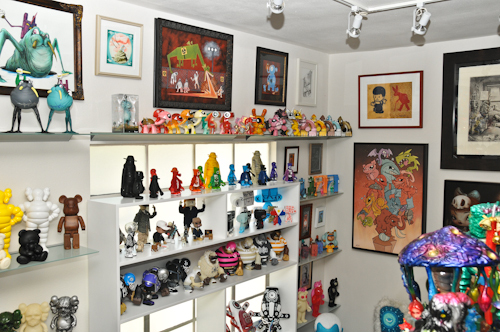 A little over a month ago Vinyl Pulse posted the first look at the new Toy Art Gallery (TAG) dreamed up, created, and owned by mega collector Gino Joukar. 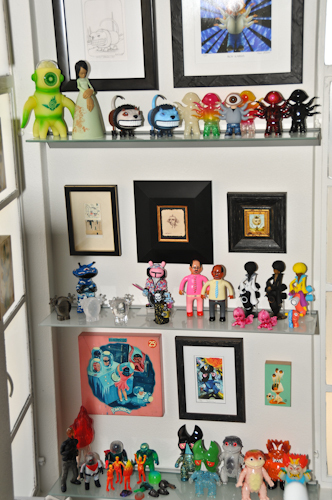 Now that TAG is officially open (by appointment only) we’re back to reveal the vinyl treasure that lies just beyond the front door. 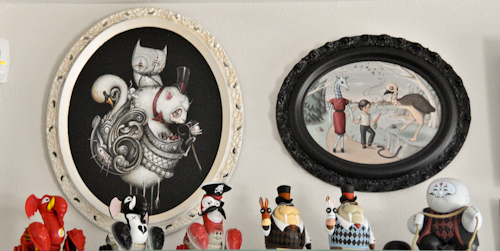 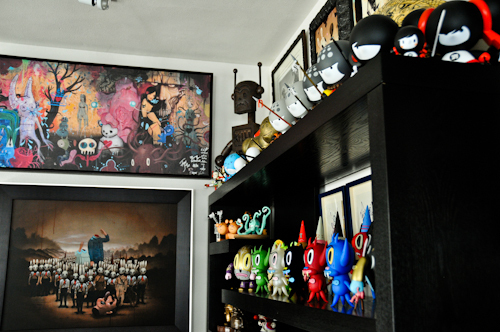 It’s true of paintings and it goes for art toys as well – there’s no substitute for face to face viewing. 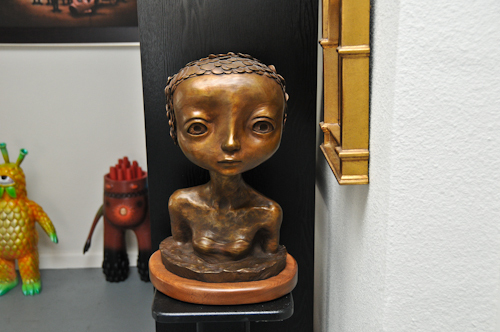 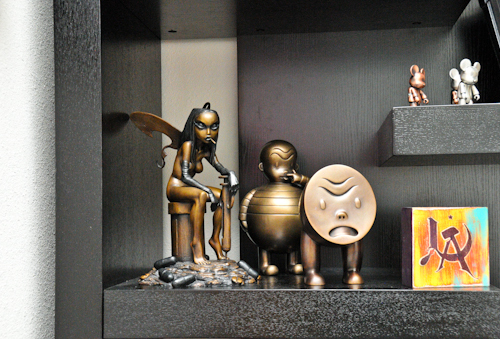 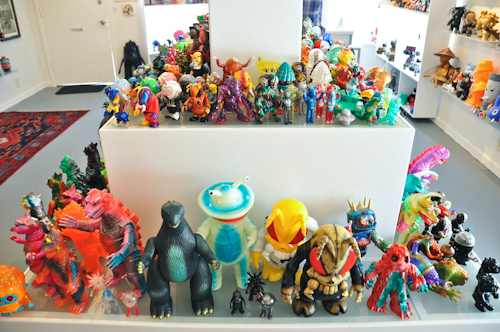 The Toy Art Gallery delivers an experience like no other space that we are aware of – Eastern, Western, Production, Custom, with a sprinkling of Bronze sculpture all tightly yet cleanly packed into what is an homage to the art of toys. 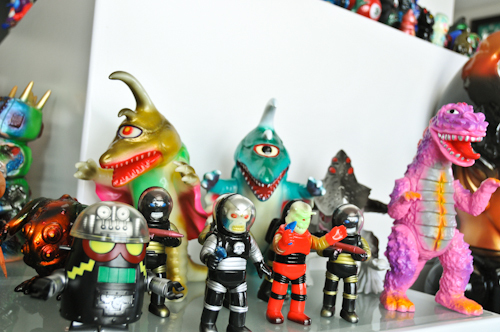 The first thing you notice upon entering is the large custom pyramid-like shelving unit in the middle of the room covered with all manner of Kaiju. 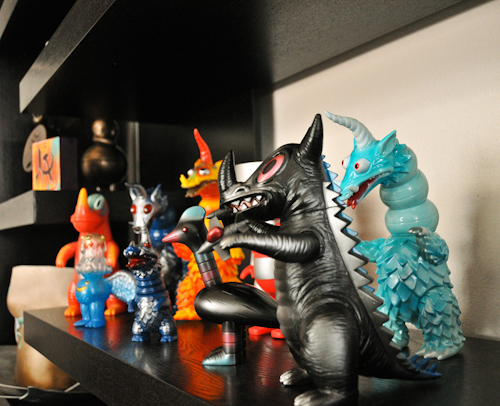 Dubbed the ‘Kaiju Isand’, the display features both production and one-of-a-kind pieces from such hallmark names as Mark Nagata and Carlos Enrique Gonzales. 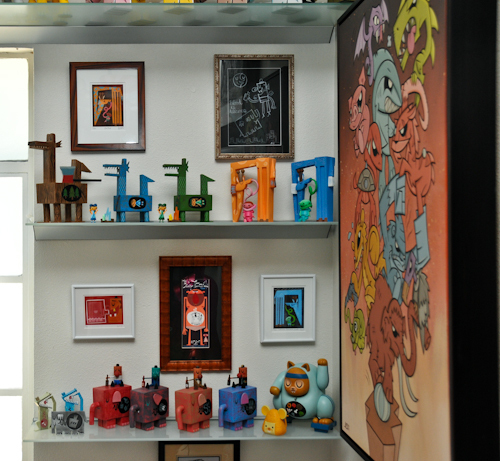 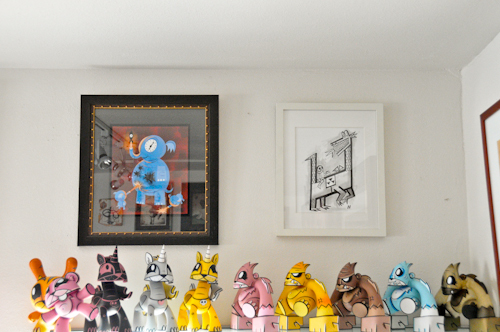 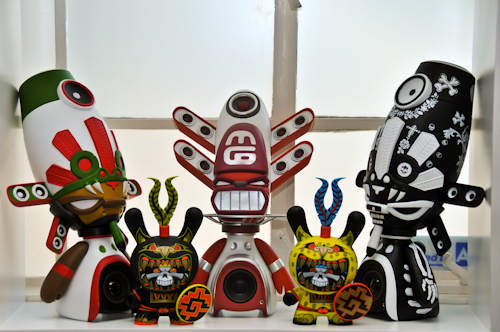 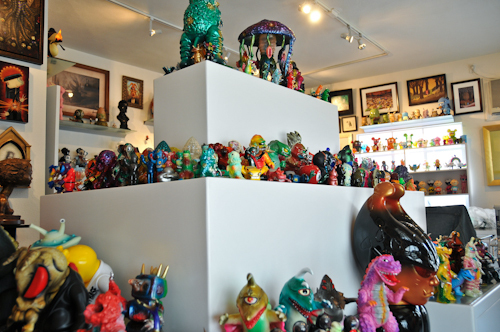 The walls surrounding Kaiju island are teeming with a staggering collection of vinyl art toys that is impressive not only for its sheer numbers but also its wide variety – Mark Ryden, Kaws, Joe Ledbetter, Amanda Visell, Huck Gee, David Horvath, and Michael Lau are just a few of the artists represented. 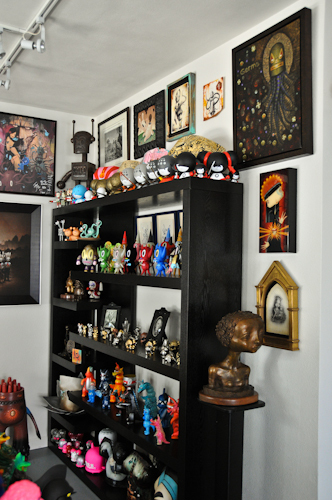 The collection is organized by artist often next to an original painting, drawing or in some case art print. 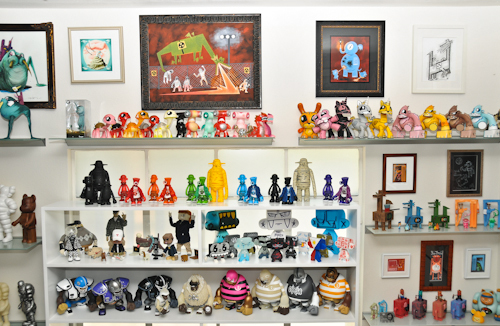 This allows one to appreciate the varied output of an individual artist while also placing it in the larger context of the art toy movement. 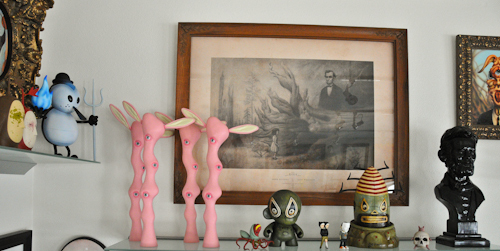 It’s the ‘forest’ context where TAG truly excels. 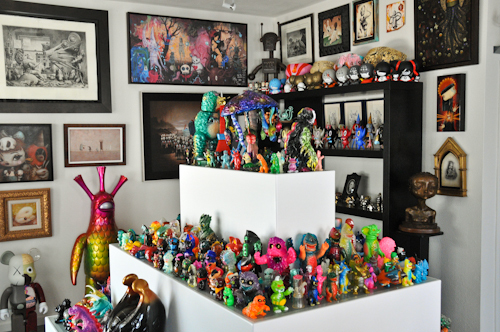 It’s one thing to ‘know’ that artists have created a tremendous number and variety of art toys, but it’s quite another to see that work summarized in a focused form in one physical location. 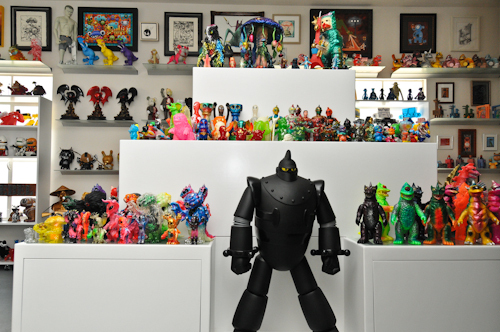 The result is a collection that is more than a sum of its parts – it speaks to a redefinition of what a toy is or should be and of a movement that has captivated collectors worldwide including the man behind TAG, Gino Joukar. 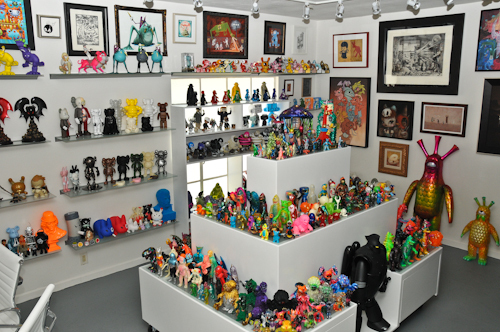 It’s often hard to describe the world of art toys to someone unfamiliar with the scene and the industry. 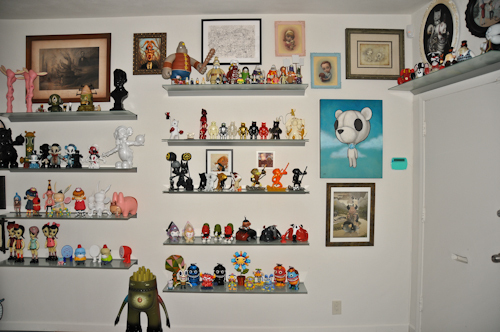 A single trip to TAG would be far superior to any fumbling, vague explanation. 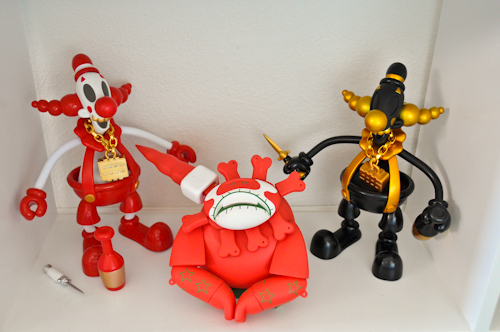 TAG serves multiple purposes. 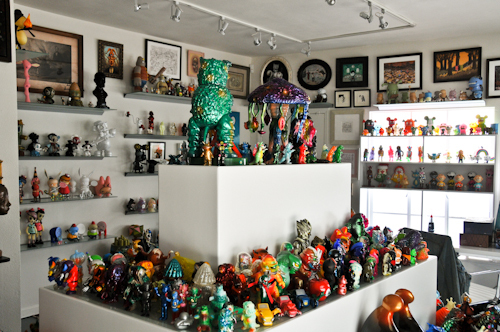 On an individual level, it allows Gino the simple pleasure of viewing his own collection in a proper setting. 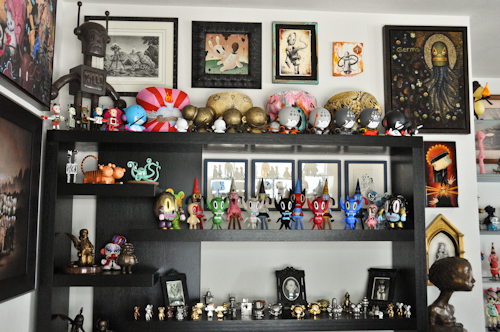 No longer are the majority of his pieces relegated to cardboard boxes awaiting proper display. 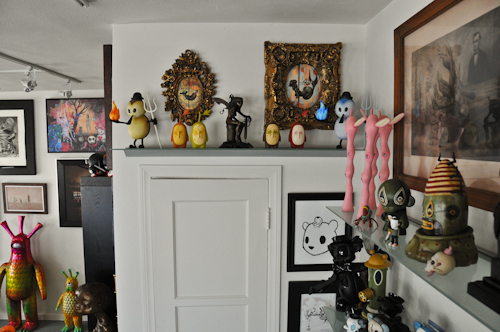 That said, the aspirations for the Toy Art Gallery go far beyond that. 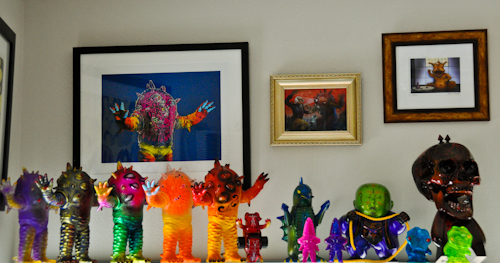 The intent is to elevate the status of ‘art toys’ and to demonstrate to those that might scoff at the notion, that the term is anything but an oxymoron. 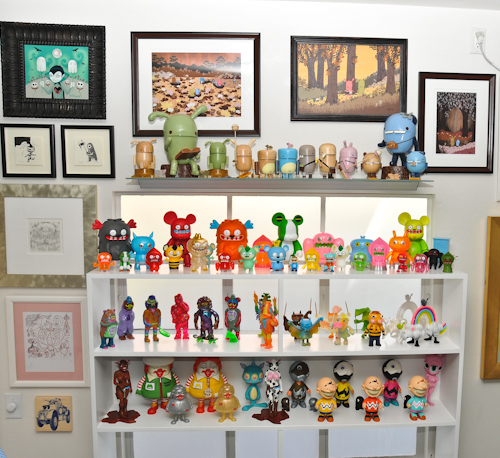 While most collectors would readily acknowledge these toys as art, many ‘art’ collectors would not. 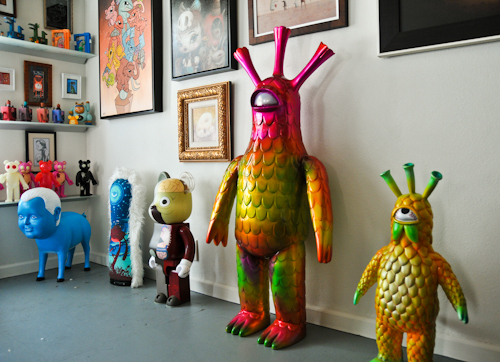 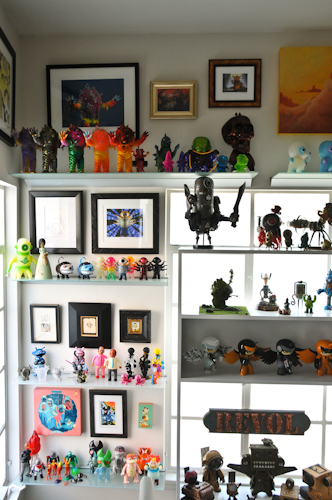 The new space is a cornerstone in Gino Joukar’s goal of promoting and elevating the status of art toys. 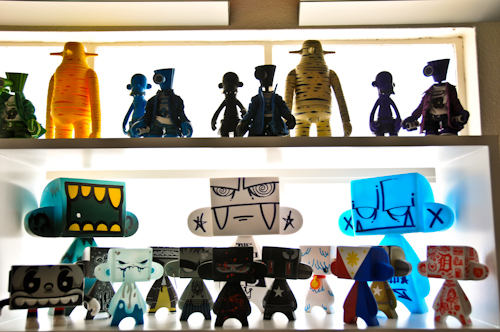 Without a doubt, a visit to TAG is a highly recommended experience. 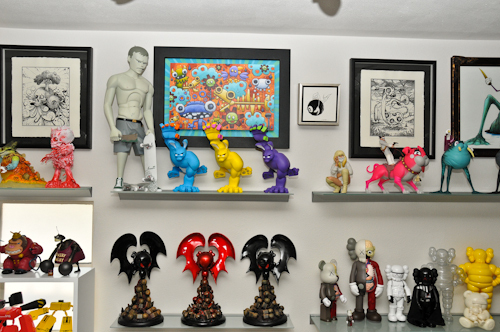 Even if you consider yourself a ‘jaded’ collector who has seen it all, you’ll come away impressed with a large smile on your face. 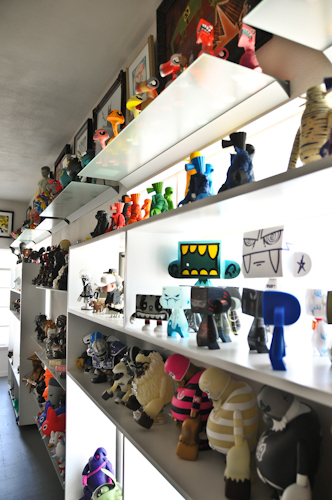 TAG is appointment only, to schedule a visit give them a ring at 877.910.TOYS (8697) / 323.465.TOYS or drop a line to info[at]toyartgallery[dot]com.